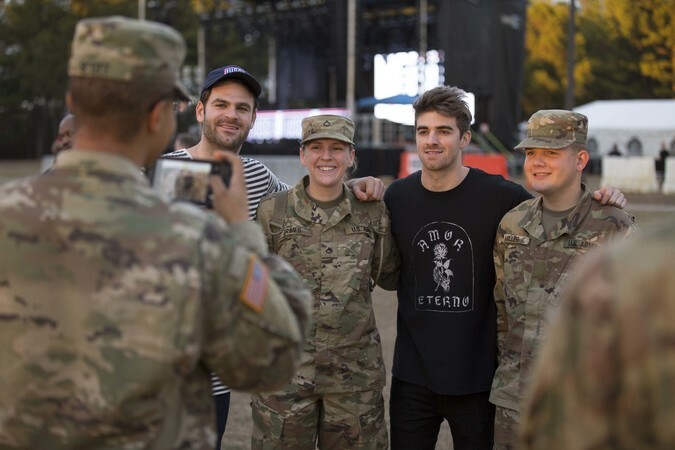 “We met a lot of really amazing people,” exclaimed Grammy Award-winning EDM/Pop duo, The Chainsmokers, when they stopped by a planned USO barbeque at Camp McCrady to surprise Army trainees in December 2017. 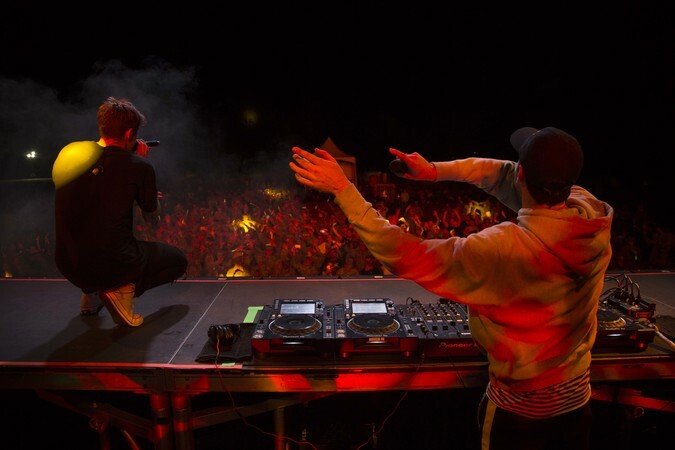 Not only did Alex Pall and Drew Taggart put on a show-stopping performance, but they also had an opportunity to tour the base and greet hundreds of troops during the holidays. 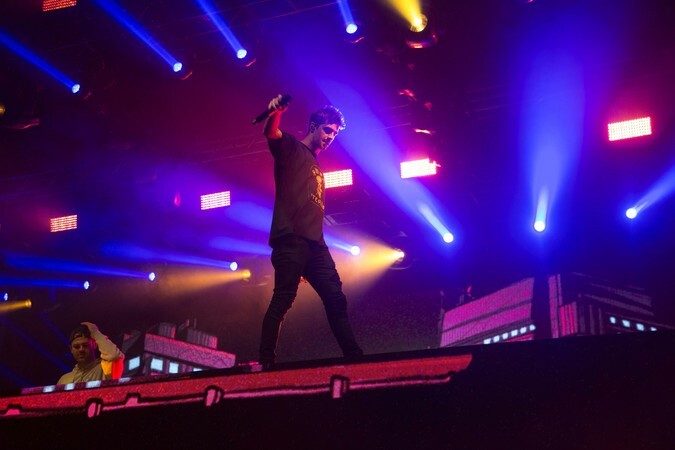 Check out the video and photo gallery below to get a closer look at this special USO tour. 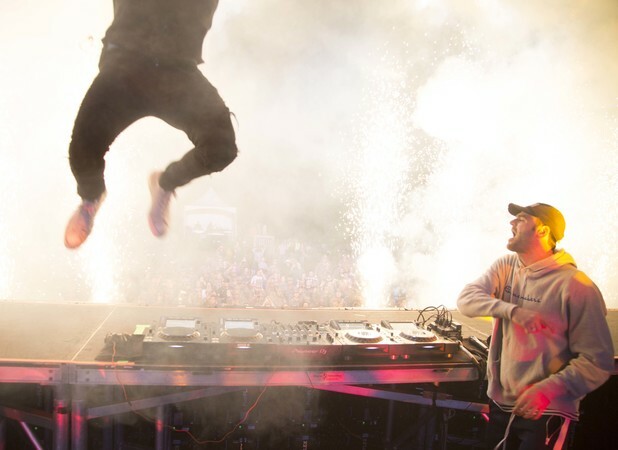 The Chainsmokers visited McCrady Training Center in South Carolina on Dec. 19 to get an up close look at military life, tour the USO center on base and perform a surprise concert for hundreds of future soldiers staying at nearby Fort Jackson for the holidays. 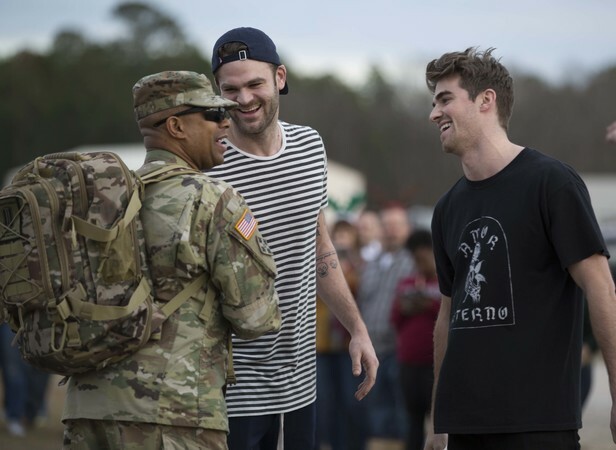 The Chainsmokers visited McCrady Training Center in South Carolina on Dec. 19 to get an up close look at military life, visiting the USO center on base and performing a surprise concert for hundreds of future soldiers staying at nearby Fort Jackson for the holidays. 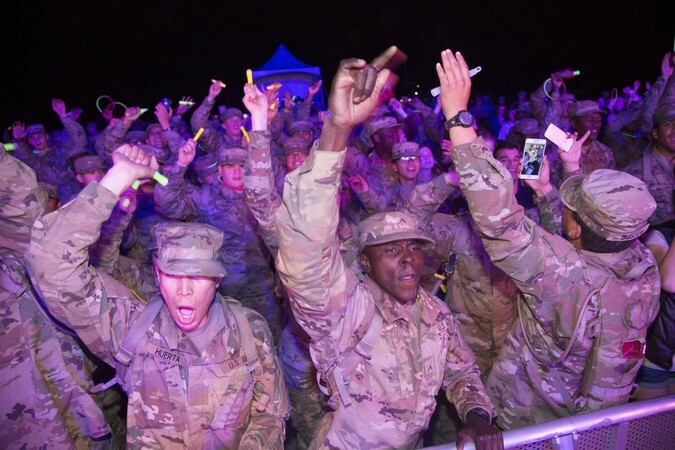 Thank Our Men and Women in Uniform by Sending a Message. 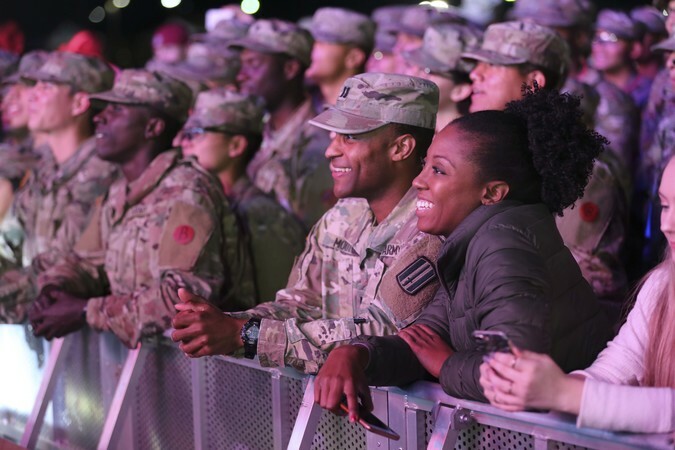 When Army trainees, on a short break from basic training during the holidays, pulled up to McCrady Training Center in December, they had no idea of the surprise that awaited them. 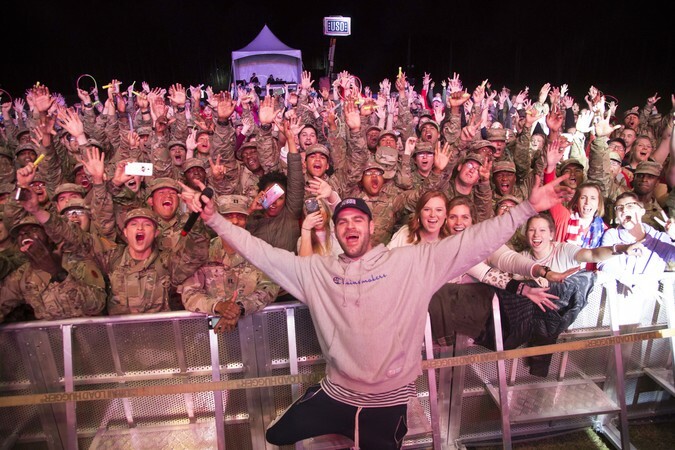 Singing sensation Cassadee Pope traveled to Alaska to help keep our military men and women connected to family, home and country.